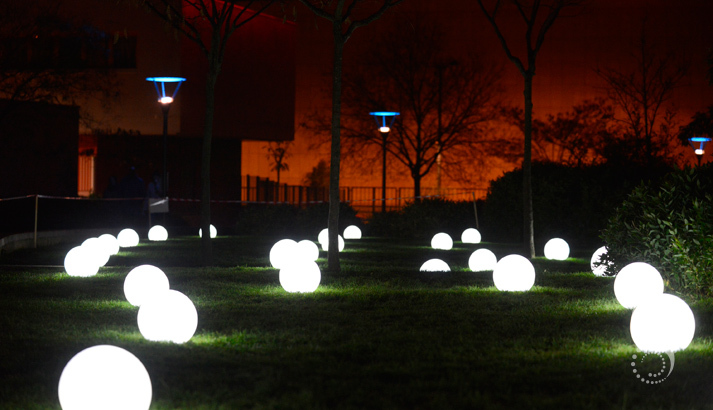 A multitude of luminous spheres digitizes the Parc Roquette and transform it into a moving and multisensorial space. 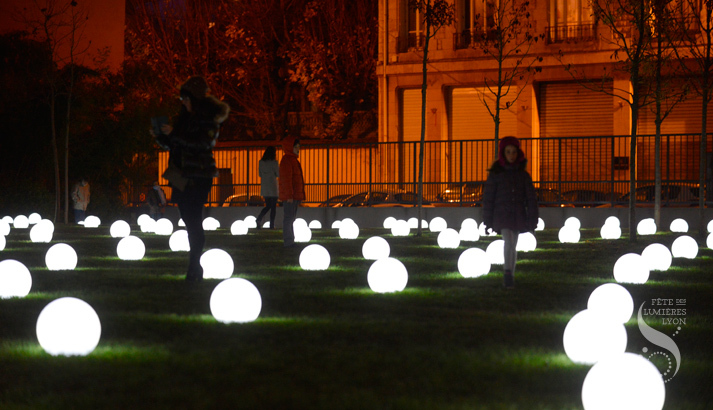 Globoscope is an immersive work composed of a multitude of luminous spheres distributed within the Square Roquette. Through this technological device, the digital artist Maxime Houot offers digitized representation of space. Randomized, each "point", each "pixel" of this landscape is connected to the others by sound and light movements. The Mathematics, Sounds, Lights, are then used to represent, transform, enhance a space, and offer the viewer a surreal ride. From December 5 to 8, 5 p.m. to 9 p.m.